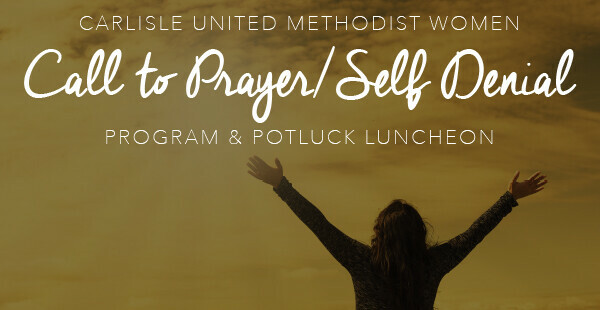 The Carlisle UMW will host their annual Call to Prayer/Self Denial program and potluck luncheon on Saturday, March 16 at 11:30am in the Gathering. Guest speaker: Beth Kempf, Director of Community CARES. Topic: Children in Crisis. An offering will be taken to support programming and advocacy for children; including after-school and wrap-around programs, access to education and life opportunities for children with disabilities, anti-violence and child-protection programs, workshops on healthy living, etc.